Screening Wed. Dec. 12, 7:30 p.m. 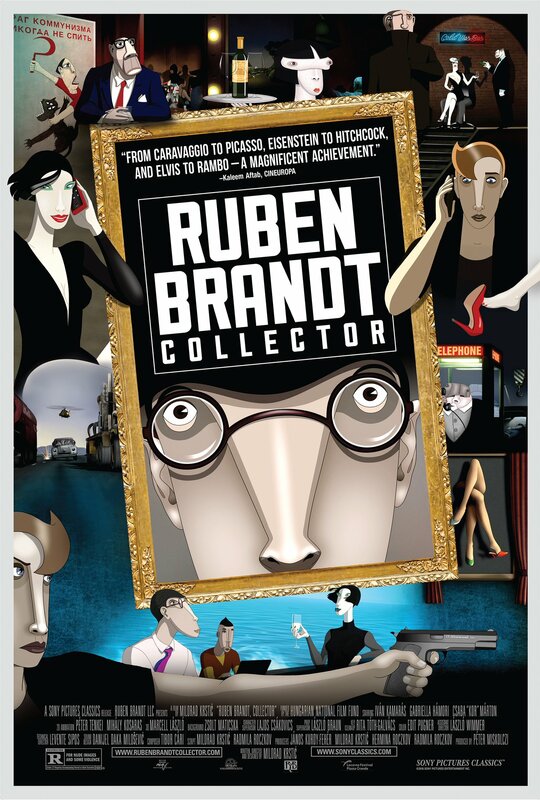 THIS FABULOUSLY CREATIVE AND ENTERTAINING ANIMATED FILM FOR ADULTS IS ITSELF A WORK OF ART WITH HOMAGE TO COUNTLESS ARTWORKS AND FILMS OF THE 20TH CENTURY. “If you asked someone to come up with an animated fiction folly that incorporated elements of psychology, film history and half the artists indexed in H.W. Janson’s monumental reference tome, History of Art, chances are it would look something like RUBEN BRANDT, COLLECTOR.